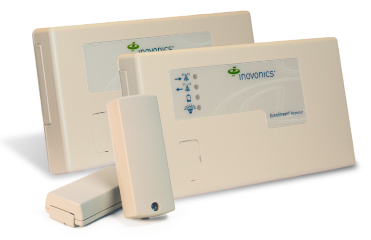 Inovonics has a full line of high-reliability wireless messaging products designed to monitor mission critical conditions at commercial properties. If there’s a condition that needs monitoring on a commercial property, chances are Inovonics can develop an effective wireless solution – or already has. Inovonics commercial monitoring products include transmitters to provide leak detection to prevent water damage; temperature and humidity monitoring and logging for pharmaceuticals and food; temperature threshold detection to protect temperature critical areas like data centers; building automation and pulse counting for benchmarking or any counting application, such as turnstiles; as well as highly integrable RF modules and universal transmitters. There are numerous software vendors who integrate our transmitters and network hardware into their solutions.